On the outskirts of Stari Ras, the first capital of Serbia, there is an impressive group of medieval monuments consisting of fortresses, churches and monasteries. The monastery at Sopoćani is a reminder of the contacts between Western civilization and the Byzantine world. Aux environs de l’ancienne ville de Ras, première capitale de la Serbie, un impressionnant groupe de monuments médiévaux comprenant des forteresses, des églises et des monastères, dont celui de Sopoćani, rappellent les contacts entre les civilisations occidentales et le monde byzantin. في ضواحي مدينة راس القديمة التي كانت العاصمة الأولى لصربيا، تعود الروابط بين الحضارات الغربية والعالم البيزنظي الى الذاكرة إزاء مجموعة مثيرة من النصب التي تُرقى الى القرون الوسطى والمؤلفة من قلاع وكنائس وأديرة كدير سوبوتشاني . На окраине Стари-Рас, первой столицы Сербии, находится выразительная группа средневековых памятников, состоящая из крепостей, церквей и монастырей. Монастырь Сопочани – это напоминание о связях между западной цивилизацией и византийским миром. En los alrededores de la antigua ciudad de Ras, primera capital de Serbia, un conjunto impresionante de monumentos medievales formado por fortalezas, iglesias y monasterios, entre los que destaca el de Sopoćani, testimonio histórico excepcional de los contactos entre la civilización occidental y el mundo bizantino. Stari Ras was de eerste hoofdstad van Servië. Aan de rand van de stad staat een aantal indrukwekkende middeleeuwse monumenten, bestaand uit forten, kerken en kloosters. Het klooster van Sopoćani is een herinnering aan de contacten tussen de westerse beschaving en de Byzantijnse wereld. Dit klooster werd in 1260 gebouwd door koning Uros I als rustplaats voor de as van zijn ouders en voor zijn eigen graf. Het gebouw is opmerkelijk vanwege zijn uitzonderlijke fresco’s, die van onschatbare waarde zijn. Ze bevatten historische aanwijzingen met betrekking tot de familie van de stichter van het klooster. Stari Ras and Sopoćani is a serial property consisting of four separate components located in the Raška region of southern Serbia: Sopoćani Monastery, Djurdjevi Stupovi Monastery, Holy Apostles St Peter and St Paul Church (St Peter’s Church), and the archaeological site of the Medieval Town of Ras. The impressive collection of three ecclesiastical monuments dating from the 10th to the 13th centuries eminently illustrates the birth of artistic activity in medieval Serbia, which attained the highest standards in the art and culture of the Byzantine Empire and the regions of Central and Southeastern Europe. The unique architectural complex formed by numerous structures in Stari Ras (Old Ras), situated at a crossroads of eastern and western influences,testifies to the period from 12th to the early 14th centuries when the ancient town was the first capital of the Serbian state. The frescoes in the Sopoćani Monastery church, dating from about 1270-1276, are among the finest in Byzantine and Serbian medieval art. These exceptional paintings represent the work of the best artists of that period who were unable to work in the territory of the Byzantine Empire and found refuge at the court of the Serbian king. At Sopoćani these artists introduced a refined spirit of antiquity to the prevailing medieval conventions. St George’s Church in the Djurdjevi Stupovi Monastery, founded in 1170-1171, is the earliest example of a distinctive new regional architecture that blended Romanesque and Byzantine styles. Known as the Raška School, this style came to dominate architecture in this area for almost a century and a half. The church also features two layers of preserved frescoes dating from 1175 and 1282-1283 that are among the finest from that period in the Balkans. The preserved frescoes in St Peter’s Church, built in the 10th century on the foundations of a 6thcentury baptistery and now the oldest surviving Christian church in the Balkans, also present evidence of the developments that took place in pictorial art between the 10th and 14th centuries. Stari Ras is located along the mountainous setting near the confluence of the Raška and Sebečevo rivers, and it became the first capital of the Serbian independent state on the accession of the Nemanjić dynasty in 1159. It was the focal point of all the decisive events underlying the state’s birth, development and consolidation. Now an archaeological site, it contains the remains of structures built from about the 9th century onwards, including the hilltop fortress of Gradina and the lower town of Trgovište. The combination of historical, cultural, artistic and natural values gives this group of monuments its significance. Together, they represent a unique contribution of the Serbian nation to the culture of Slavonic and other nations during the Middle Ages. Criterion (i): Sopoćani Monastery is renowned for the exceptional quality of its decorative frescoes. The frescoes in the narthex, which opens to two projecting chapels, provide a valuable historical record of the family of the founder of this monastery. The plastic quality of these compositions, mostly carried out in the 13th century, testifies to the vitality of Byzantine art at a time when Constantinople was in the hands of the Crusaders. The composition of the frescoes that adorn St George’s Church in the Djurdjevi Stupovi Monastery is original in the treatment of the figures in the manner of icons and draws its inspiration from ancient art. St Peter’s Church, the seat of the Bishop of Raška, was also decorated with frescoes mainly in the 13th century. Criterion (iii): The ancient town of Ras drew its strength from its location at a crossroads and was enriched through its contact with both eastern and western influences. Its numerous monuments form a unique architectural complex that testifies to the period when the capital of the Serbian state was located in Stari Ras. These buildings, erected for the most part between the 9th and 11th centuries, express in their plan and pictorial decoration an architectural interest that is characteristic of the Raška School. All the elements that sustain the Outstanding Universal Value of Stari Ras and Sopoćani are located within the boundaries of the 199-ha serial property. There is also a very large 9,936-ha buffer zone. The property is therefore of adequate size to ensure the complete representation of the features and processes that convey its significance. The state of conservation of all the components, including the remains of the fortress of Gradina and the lower town of Trgovište, and especially the very delicate wall paintings, is good, and their condition is constantly monitored by the relevant experts. Conservation and restoration works in the exonarthex of the Sopoćani Monastery church and St George’s Church in Djurdjevi Stupovi Monastery were in the service of restoring their original appearance and were preceded by serious archaeological and architectural investigations. The property does not suffer unduly from adverse effects of development and/or neglect. A complete and intact set of attributes conveys the Outstanding Universal Value of Stari Ras and Sopoćani, including their forms and designs, materials and substance, and uses and functions. All conservation and restoration works have been carried out in the original materials and traditional techniques and do not threaten the authenticity of the monuments. They are accompanied by detailed architectural, artistic, archaeological and historical documentation that justifies their selection and assures their authenticity. Known threats and risks to the property include development pressures related to the nearby city of Novi Pazar, environmental pressure and the number of inhabitants. Rehabilitation of the original function of Djurdjevi Stupovi Monastery, while a positive action in terms of sustainable use, is also considered to be a potential threat to its authenticity. The owner of the three ecclesiastical monuments in the serial property is the Serbian Orthodox Church, and the owner of the Stari Ras archaeological site (including the fortress of Gradina and lower town of Trgovište) is the state. The owner of most of the area included in the buffer zone is the Republic of Serbia. Stari Ras and Sopoćani benefit from the highest level of legal protection in the Republic of Serbia, established by the 1994 Law of Cultural Heritage. The area around Stari Ras and Sopoćani is additionally protected by the Ras-Sopoćani Landscape of Outstanding Interest (1995) and the Spatial Plan of the Republic of Serbia (Official Gazette of the Republic of Serbia, June 1996). Management of the property is the responsibility of the Serbian Orthodox Church and the Government of the Republic of Serbia. Maintenance of the monuments is funded by the Serbian Orthodox Church, the Republic of Serbia, and the Municipality of the nearby town of Novi Pazar. 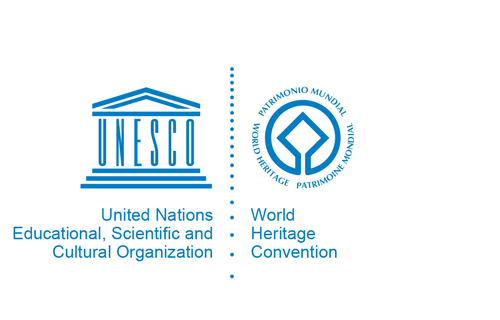 Jurisdiction is divided among several governmental institutions, including the Institute for the Protection of Cultural Monuments of Serbia for preventive protection, conservation, restoration and presentation; the Institute for the Protection of Cultural Monuments of Serbia, the Archaeological Institute, and the Ras Museum in Novi Pazar for archaeological research; and the Ras Museum in Novi Pazar for maintenance of the archaeological sites and safekeeping of the archaeological material. All monastery and protected area conservation and restoration work projects are subject to approval, clearance and monitoring by the expert committee responsible for Stari Ras and Sopoćani, an agency of the Serbian Ministry of Culture. The Institute for the Protection of Cultural Monuments of Serbia is responsible for preparing a management plan, which has been in progress since 2010. Key indicators for monitoring the property have been identified, though there is no formal monitoring programme. Sustaining the Outstanding Universal Value of Stari Ras and Sopoćani over time will require completing, approving and implementing the management plan for the serial property; implementing a formal monitoring programme; and addressing the known and potential threats and risks to the property, including development pressures, environmental pressure, the number of inhabitants and the rehabilitation of the original function of Djurdjevi Stupovi Monastery.